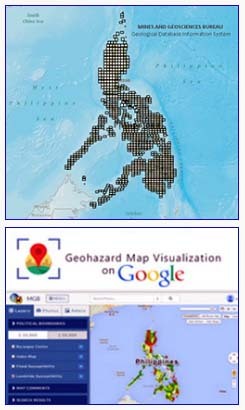 In observance of the fire prevention month, the Mines and Geosciences Bureau Regional Office No. II hand in hand with Bureau of Fire Protection, conducted a fire prevention campaign last April 3, 2018 at MGB Conference Hall. Bearing this year’s theme: “Ligtas na Pilipinas ang ating hangad, pag-iingat sa sunog ay sa sarili ipatupad,” aimed to increase awareness of MGB employees regarding fire safety and protection. 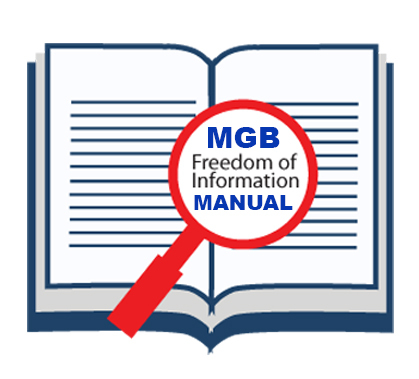 The Mines and Geosciences Bureau Regional Office No. 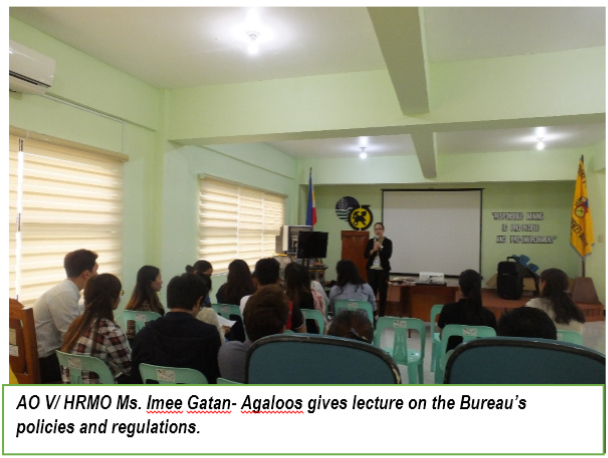 II through its Administrative Officer V/ HRMO Ms. Imee Gatan- Agalos conducted a reorientation to its contractual employees regarding the Bureau’s policies and regulations in line with the omnibus rules of the Civil Service Commission (CSC) last January 18, 2017 at MGB Conference hall. 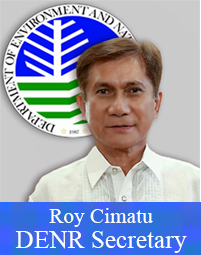 To improve the information drive of the department, the Department of Environment and Natural Resources Central Office (DENR CO) convened the chiefs of the Regional Public Affairs Office (RPAO) of DENR as well as the information officers of its line bureaus last January 25, 2018 at DENR Social Hall. 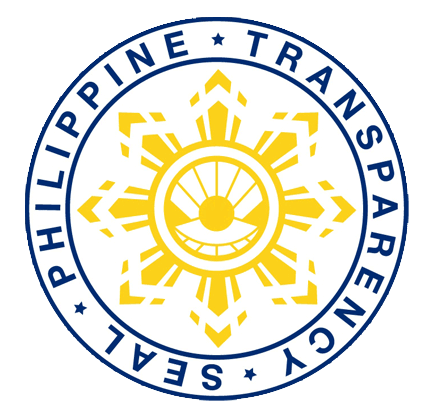 The meeting was spearheaded by Supervising Undersecretary for Strategic Communication and Initiatives Service ( SCIS) and Department Spokesman, Atty. Jonas Leones. 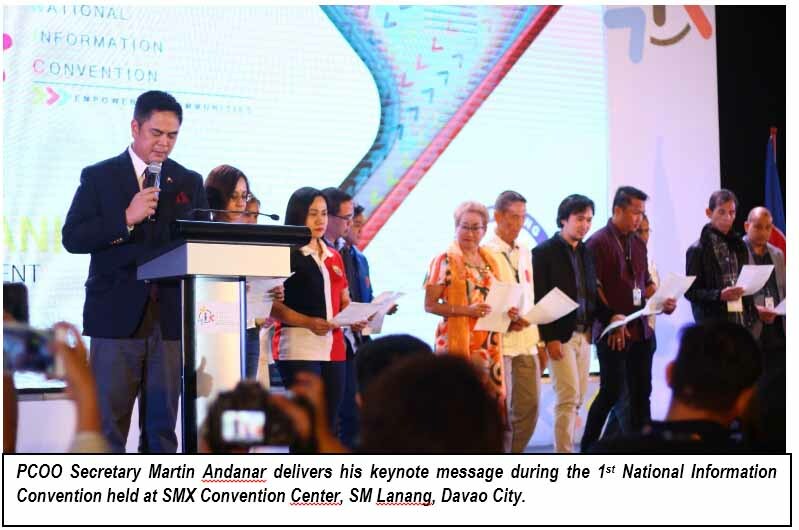 The Presidential Communications Operations Office (PCOO) through the Philippine Information Agency (PIA) spearheaded the 1st National Information Convention last Feb. 19-21, 2018 at SMX Convention Center, Sm Lanang, Davao City. With the theme: “Spurring Development and Empowering Communities through Information,” the convention was attended by over 2,000 information officers from National Government Agencies(NGAs) and Local Government Units (LGUs) across the Philippines.